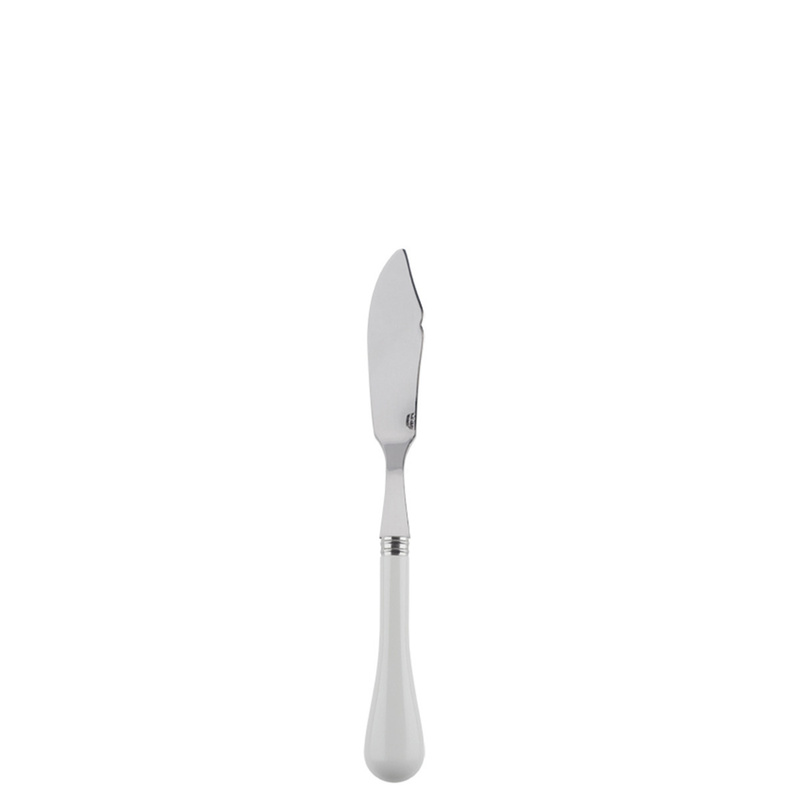 This cutlery piece has an extra-light handle made from an innovative material that recalls porcelain of old times. 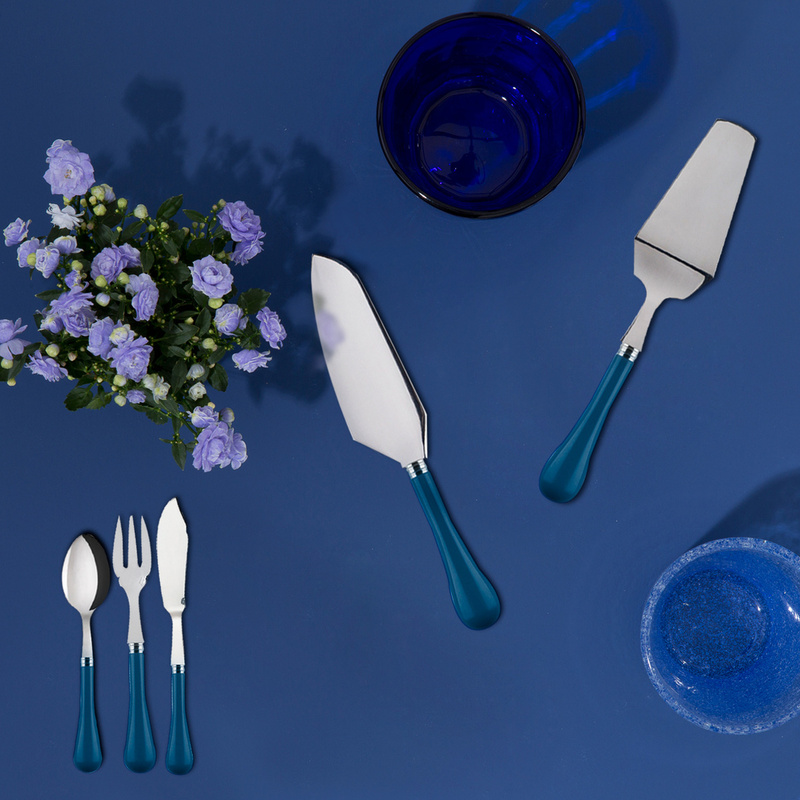 The Leon cutlery set by Sabre introduces to the wide public a new, unconventional material - mineralite. 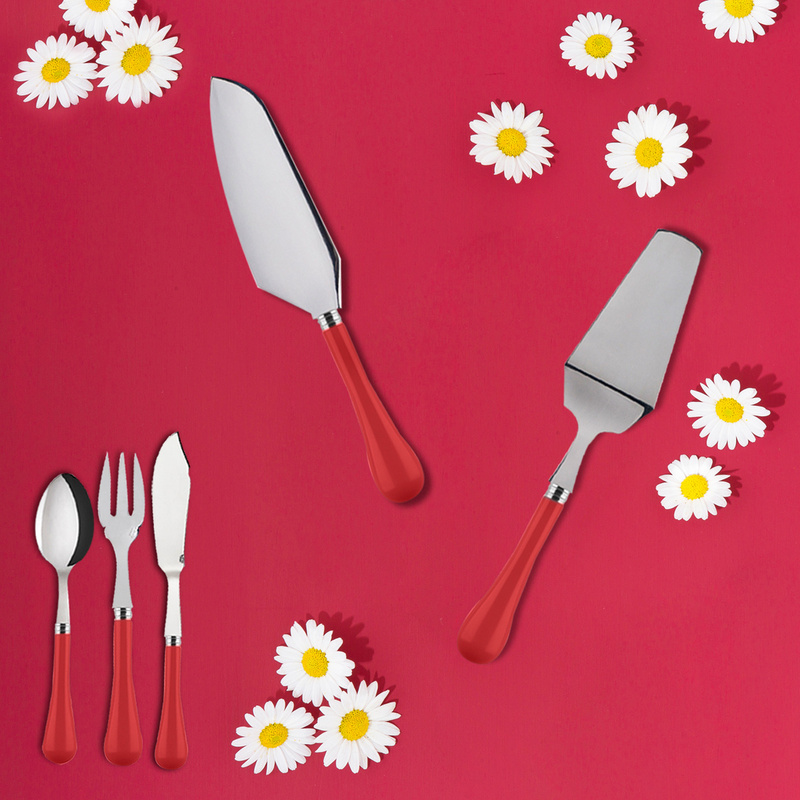 Patented by Sabre, this colourful material is lightweight and pleasant to touch, and reminds the texture and feel of old-times porcelain cutlery. This set of 2 cutlery pieces is 21 cm long and is specifically designed for eating fish. 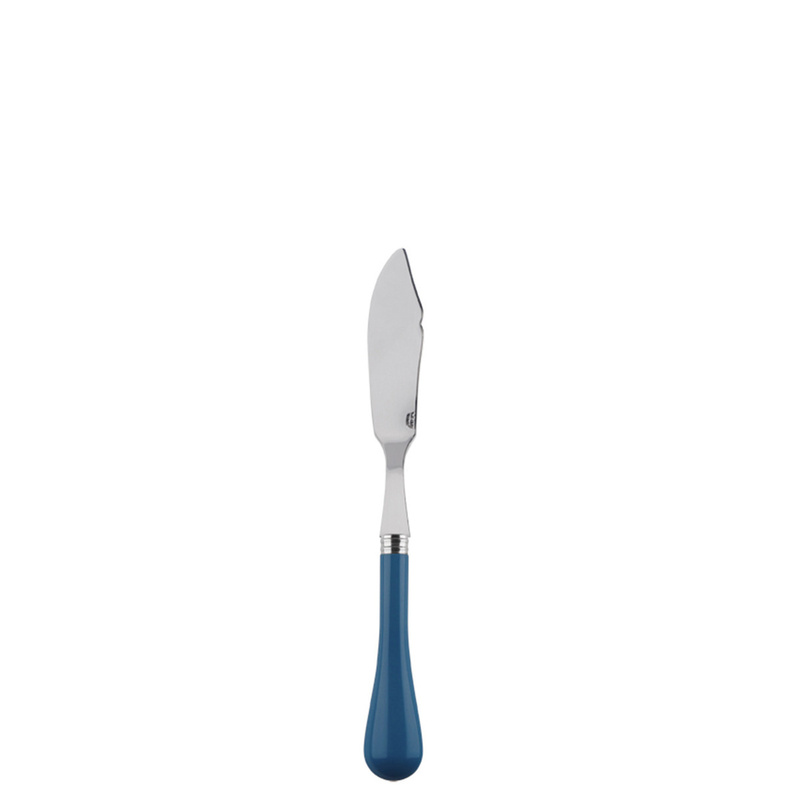 A coloured mineralite handle is completed by a polished stainless steel body. Materials produce a pleasant, conspicuous contrast. These cutlery pieces will amaze you when you hold them - mineralite is extremely pleasant to the touch and easy to handle. 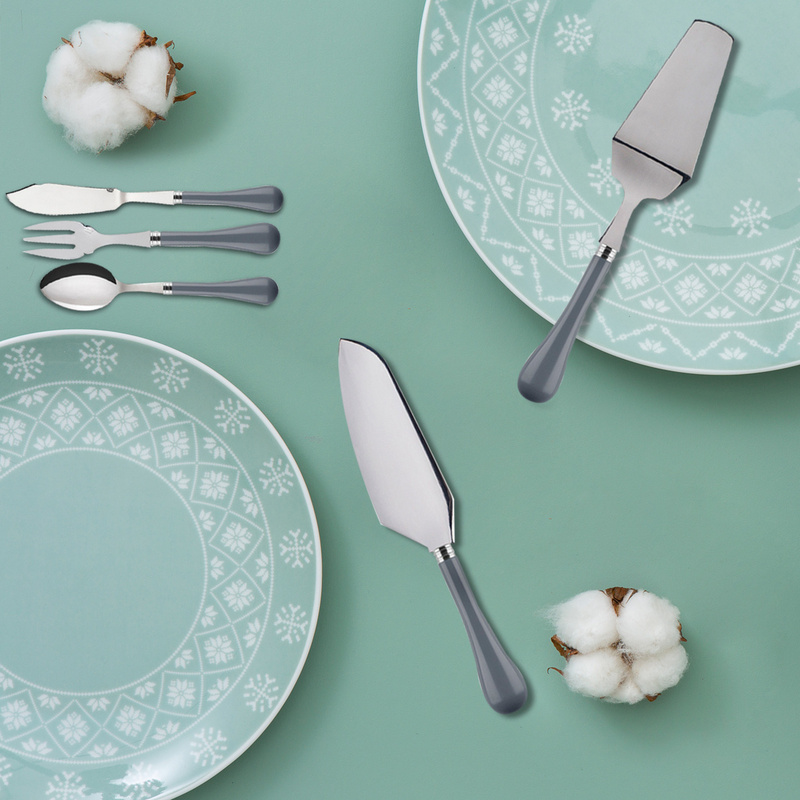 The shape of the Leon fish set is inspired by vintage dinner sets of country mansions, with their sophisticated retro feel. 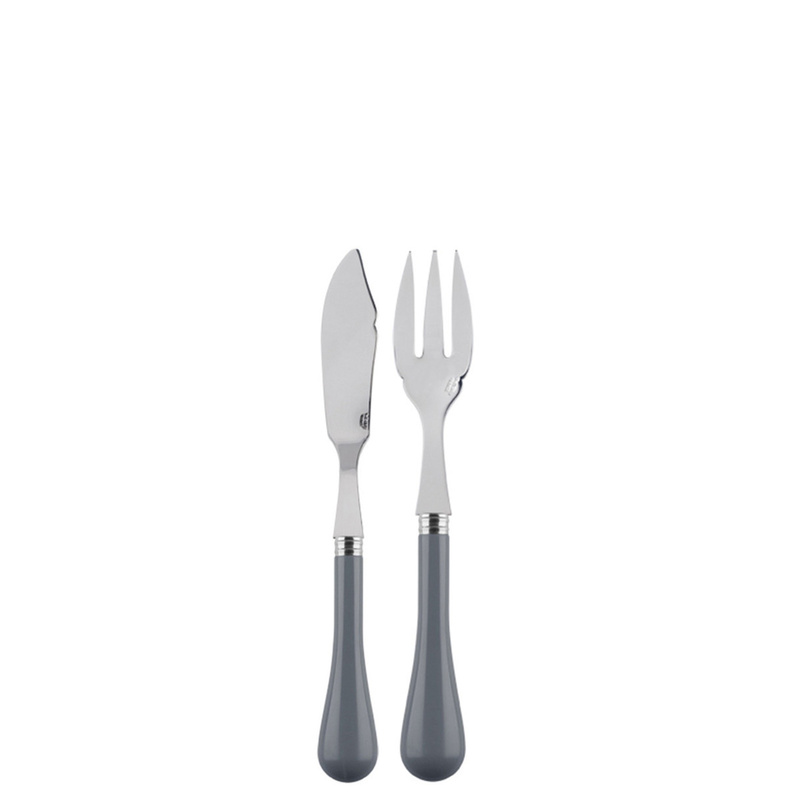 Being designed for fish, this set is perfect to match other Leon cutlery pieces in order to create the perfect dinner cutlery set. 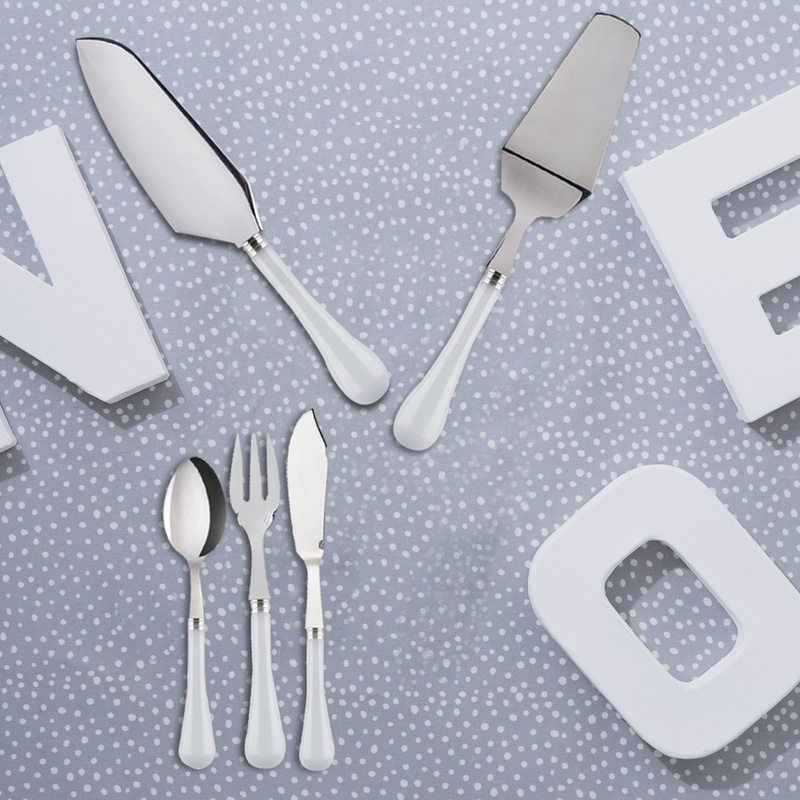 The philosophy behind Sabre is that of Mix and Match, so you can decide exactly how to create your own set piece by piece. This way you can also balance the porcelain effect in order to prevent a heavy looking table setting from being featured. 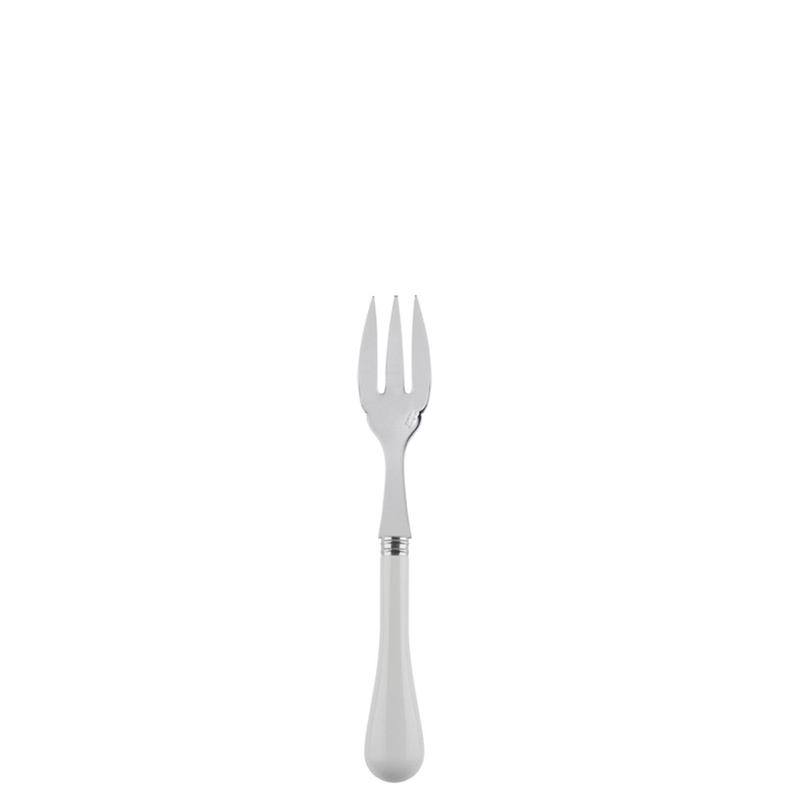 This cutlery set is perfect also as a gift idea for all food lovers and is especially suitable for fish enthusiasts - they will love its refined look and enhanced functionality. Available in a range of colours.